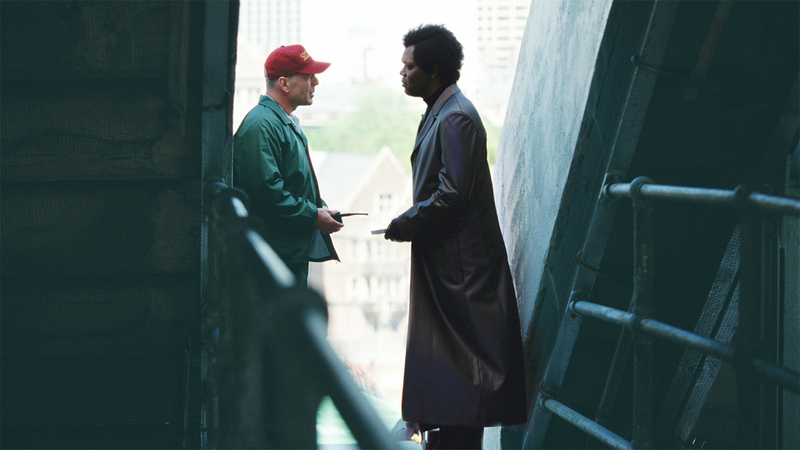 There is a solid argument for Unbreakable being the best superhero origin movie. It manages to create a believable superhero in the “real world” without falling prey to any of the usual, paint-by-numbers clichés that plague even the masters like Marvel. It also helps that you don’t know it is a superhero movie until at least halfway through. This film starts with an intriguing and fairly disturbing opening and never lets you go. There is a sense of dread and foreboding hanging over every scene without any real sign of horror. This is a film of dark characters and unknown intentions and it is all the better for it. It all plays off the exquisite double-header between Bruce Willis and Samuel L Jackson. Both actors play against their usual type and it uneases the audience further. Willis is a quiet, unassuming and unhappy man who struggles with wife Robin Wright and feels disconnected from his son. Jackson is an obsessive, relentless man with a tragic underlying backstory. Both actors give fantastic performances and are a world away from their respective roles in Die Hard with a Vengeance (which is more akin to what you’d expect from the pair). It also helps this movie that it doesn’t ever feel like a supernatural thriller. You are never sure that what is being hinted at is true and the reveals of key character points and moments are drip-fed. It is a slow developing film which helps build the tension and also makes the more important moments feel like a rush of consequence. It is a movie built around specific, key moments and these stick with you and have the desired impact. This is another example of how good a writer M Night Shyamalan can be. In the same ilk as The Sixth Sense, Shyamalan creates a story where the audience feel off balance, never sure what the tale is really about. It isn’t a film about a man discovering his potential or that he could be a superhero but a film about a man clearly running away from who he truly is and the effect that it is having on his life and those around him. This doesn’t mean it is all “doom and gloom” and the finale manages to be both tense and exciting. Playing on the realism that this film relies on, Willis manages to be a superhero in the most ordinary of ways; in a scary confrontation with a simple but effective villain. The finale of the movie has some excellent pay-offs and manages to fulfil the promise that the story holds throughout. As for the signature Shyamalan gut-punch? 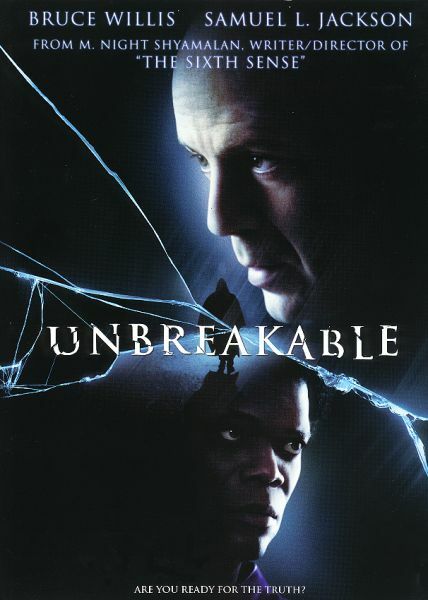 Unbreakable has a great one and manages to bring the central relationship between the two key characters full circle. Overall, Unbreakable manages to add something completely original to the superhero genre. It isn’t a superhero movie at all but does deliver what is the most realistic origin story you could imagine. This is helped by excellent writing and direction and two unlikely performances at it’s core.